Here’s a unique name necklace for that special person. 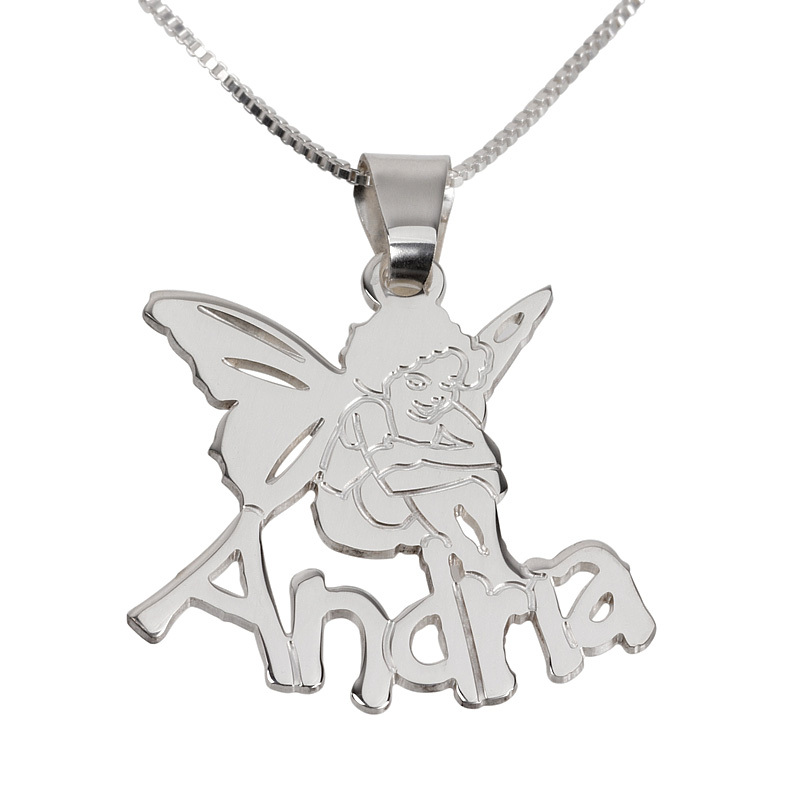 This is a quality piece of customized name jewelry which depicts an angelic figure sitting atop the name of your choice. So, if you’re looking for an individual piece, this is it. Tell someone how you feel about them with this wonderful piece of customized jewelry. The design is very straightforward but highly personal at the same time. It features an angelic looking figure, sitting cross-legged with wings attached. The careful engraving that has gone into this angelic character lends it a thoughtful feel as it sits above the name of your choice. The lettering of the name is carved in a clear and direct font, which adds a further straightforward feel to this item. However, it isn’t just the quality of the design which makes this necklace stand apart. It is made from top quality sterling silver. The entire pendant is formed from one single piece of silver, which has been impressively carved and fashioned to express the features of the angel motif and the clarity of the letters. Look no further for a name necklace that combines quality and ingenuity. Height of text: 0.2" - 0.4"